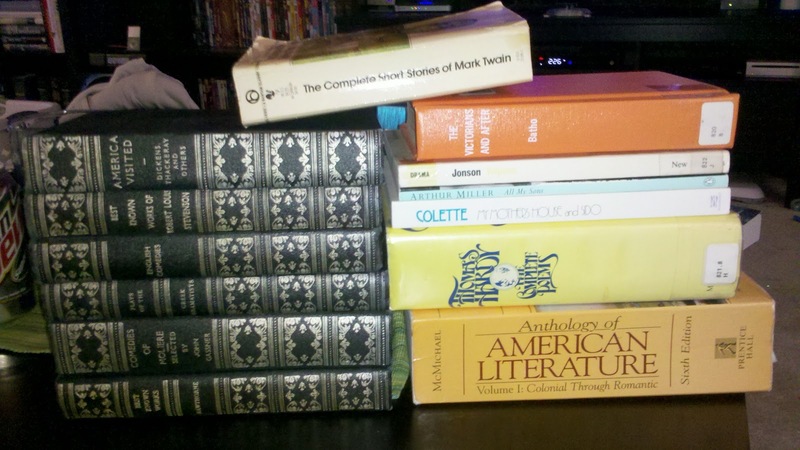 A Literary Odyssey: Weekly Wrap-up for January 29, 2012: Plans and Some Book Loot. Weekly Wrap-up for January 29, 2012: Plans and Some Book Loot. It has been a bit of a crazy week. It wasn't that I had a lot to do. Since it was exam week in the districts I sub for, I had no sub jobs. But I feel a little drained and lazy. I guess that is what happens when you don't work with a normal schedule! I have been making some progress on some of my goals for 2012. I started watching what I'm eating this week-making healthier choices and monitoring my calorie intake. I haven't decided if I am going to go on a "diet." I find that once I restrict my food options too much, I cheat. Instead, I want to have a healthier relationship with food, and I think that comes with watching what I am eating and how much. For right now, I am simply looking at calorie intake. I'll let you know what I decide in the future. I also cooked three times this week-which believe me, is a BIG deal. I'm not the best cook, but I am slowly learning some new recipes and trying to be a little more proactive with my own eating. :) Speaking of-do you guys have any good, easy, and healthy recipes for me? I would love to pick your brains. Matt surprised me yesterday by taking me out to breakfast and then to the library for their used book sale! I had completely forgotten about it, so I was really excited. 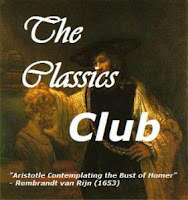 Funny thing was, when I was scouring the classics section, I already owned most of them. :) I suppose that's a good problem to have, right? I did find some things, including some old editions that are pretty cool. Here is a look at what I brought home with me for $6 (It was their 50% off day)! Well, I have some more reading to do and quite a few posts to write. I hope you all had a lovely reading week! I generally think diets are a bad idea - I just live by the mantra "everything in moderation" when it comes to food. Have you ever looked at intuitive eating? It's a great way to not diet but to not take in too many calories, without ever obsessing about calories. I've been keeping track of calories as well and have some dishes that are staples in my house. I'll e-mail you sometime this week. Do you have a crockpot? It's a savior for me. And you know, not working and being in a funk (i.e. entirely different from not working cuz your on vacation) is EXHAUSTING. It's understandable that you're a bit out of it. Stress is one of the biggest draining factors ever. Keep pursuing your goal though. I know that these are the toughest times ever in education, but your ideals and passions is what is needed. Great stuff, Allie! I'm working on making healthier choices, too. I get stuck eating out at work sometimes, especially if I have to work late unexpectedly. I've been doing more research into what healthy choices I can make if I'm forced to eat out. I also have been trying to cook more, and I'm following several cooking blogs that post healthier recipes. Great haul at the book sale! Enjoy! Looks like you had an excellent shopping trip :) I think cooking for yourself and knowing exactly what you're putting into your food is one of the best healthy changes you can make. I know that I often find myself eating out so much, just because I'm lazy. I am trying to cook for myself and bring leftovers to work. I love cooking. I try to cook a one or two big meals a week and eat mostly leftovers. It cuts down on grocery bills and helps me monitor what I eat and how much. I never stick to diets either. Have you tried stir-fry recipes? They're quick, easy and healthy... my 'go to' recipes for extra crazy days. Looks like good shopping at the book sale, too. Matt is so thoughtful! A lovely reading week to you, too! That was nice of Matt! 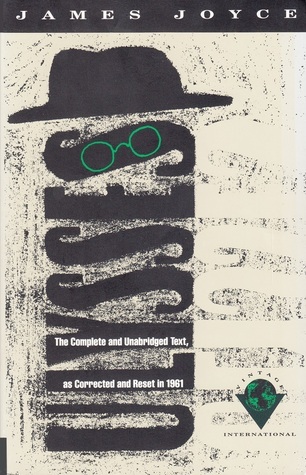 :) I can't wait to see what you think of Volpone I need to read some Marlowe. I am not really a cook but I do force myself to cook for my family every night. My husband has refined tastes in food, and I've experienced satisfaction in learning to cook for his sake. There is something satisfying in figuring out the mystery of how to make a mediocre meal into a fantastic one: what is this missing? Salt? More spices? Something else? Shakespeare Reading Month Updates (IMPORTANT). Movie Adaptations (Shakespeare Reading Month). Book 122: Motivation and Women as Pawns.